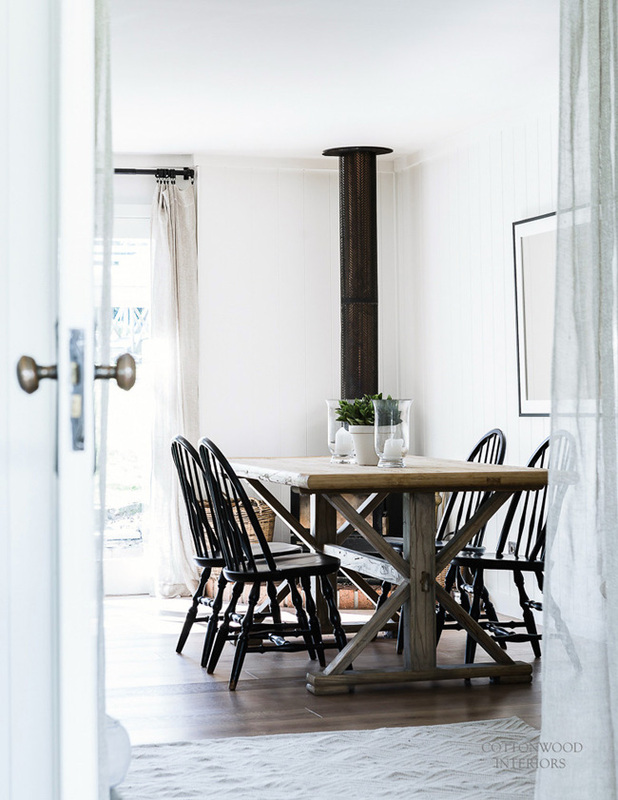 How should a modern farmhouse look? Do you imagine a rustic ambience with lots of wooden clad decorated with countryside touches? 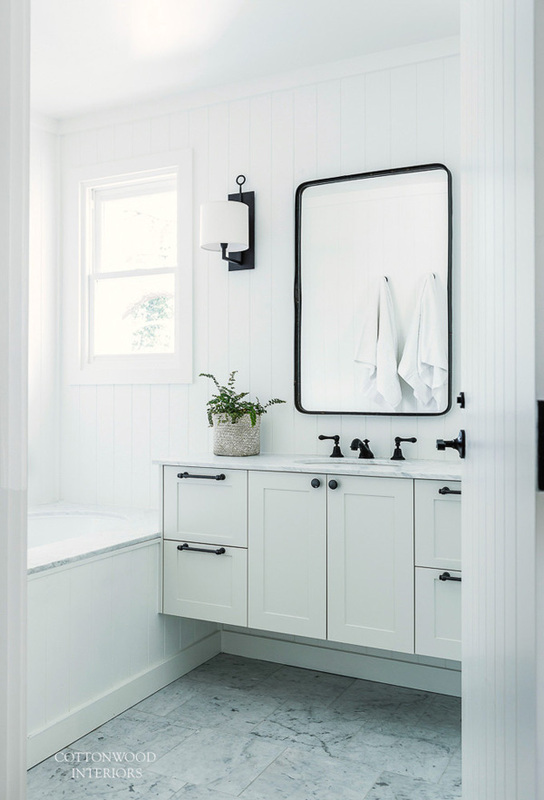 This modern farmhouse is none of that kind, it’s airy and serene with just a hint on a farmhouse here and there. 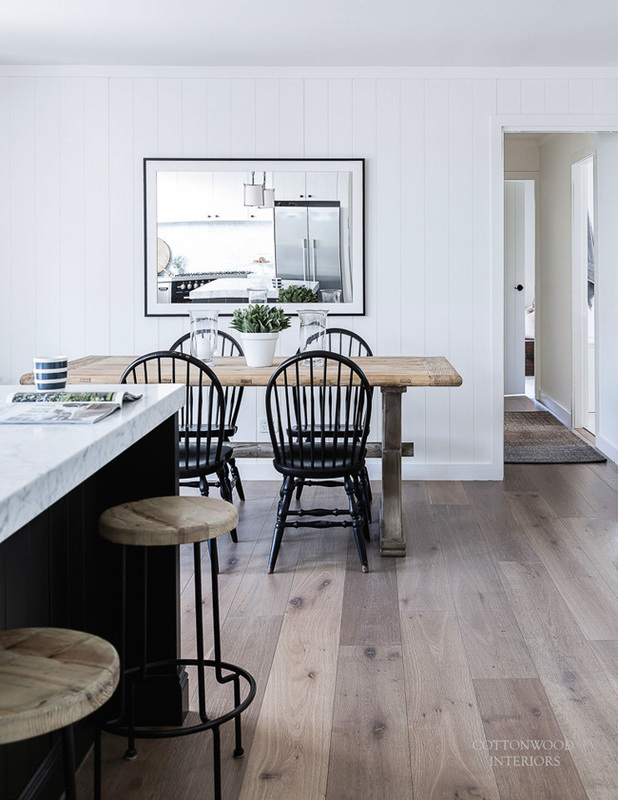 The family-friendly farmhouse in New South Wales by Cottonwood Interiors is a bit classic American and a bit Scandinavian, which is rather unexpected for Australia. 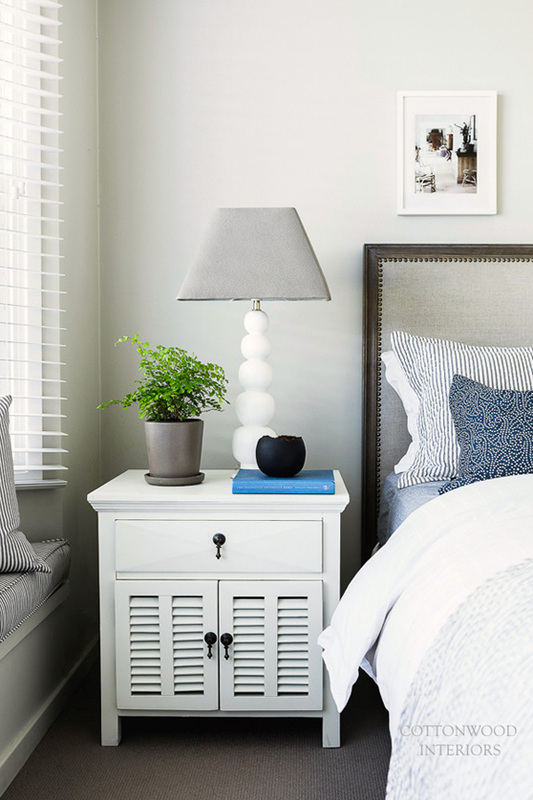 Understated, relaxed and elegant, this home is full of neutral and refreshing colors and looks extremely cozy. 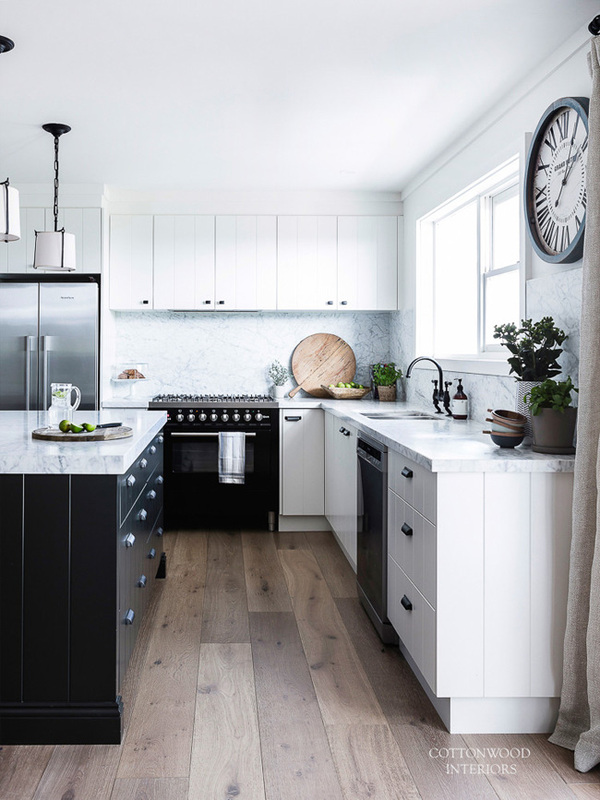 The kitchen cabinets are modern and white with a marble top to contrast with a black kitchen island. Marble-like kitchen backsplash is also white, and white reflects the light very well, so the kitchen looks very airy and spacious. 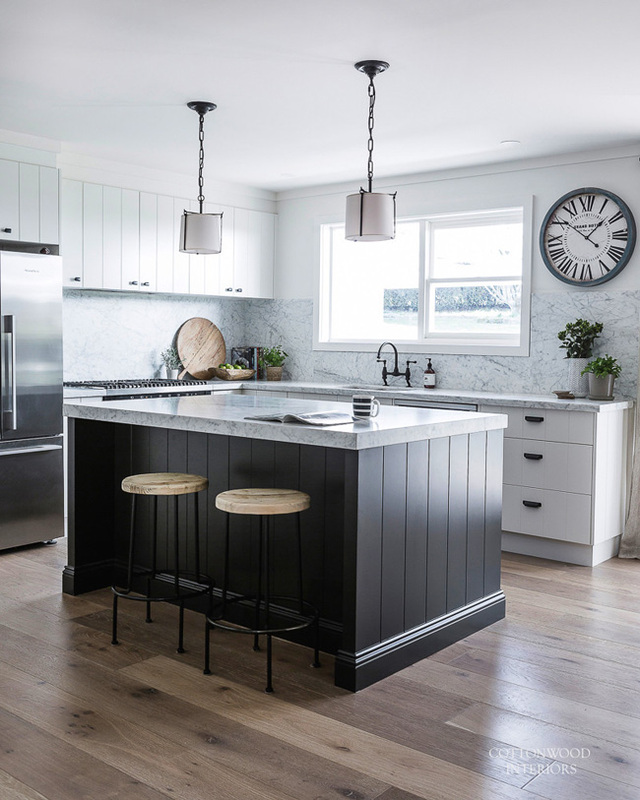 Industrial pendant lamps and stools at the kitchen island give a spice to the kitchen. 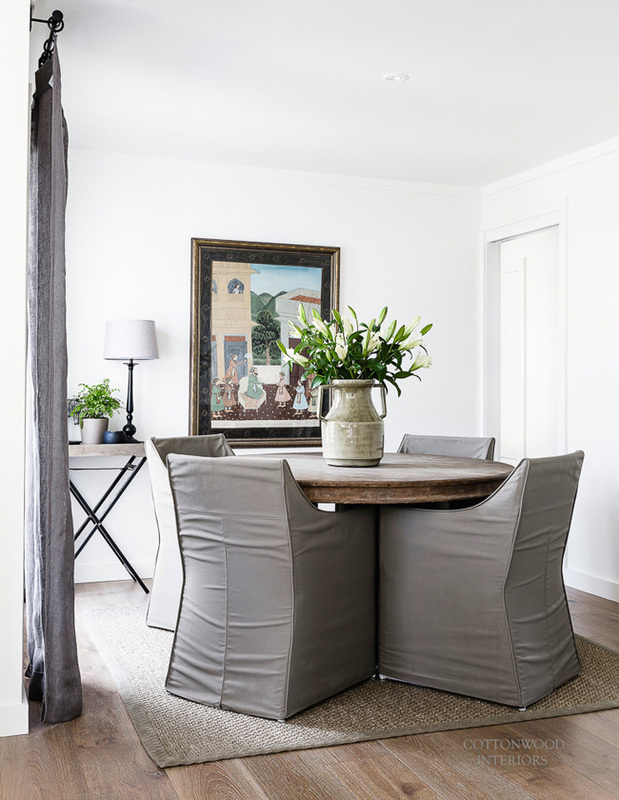 The rustic dining table and the stool seats are done with the same light wood that resembles of the floors and together they look very harmonious. The living room is modern American with cozy rustic touches. White walls and ceiling with light-colored wooden floors create a perfect and stylish backdrop for modern white furniture, woven chairs and a couple of vintage finds. Big windows bring in a lot of light, and I really enjoy watching such whitewash spaces. 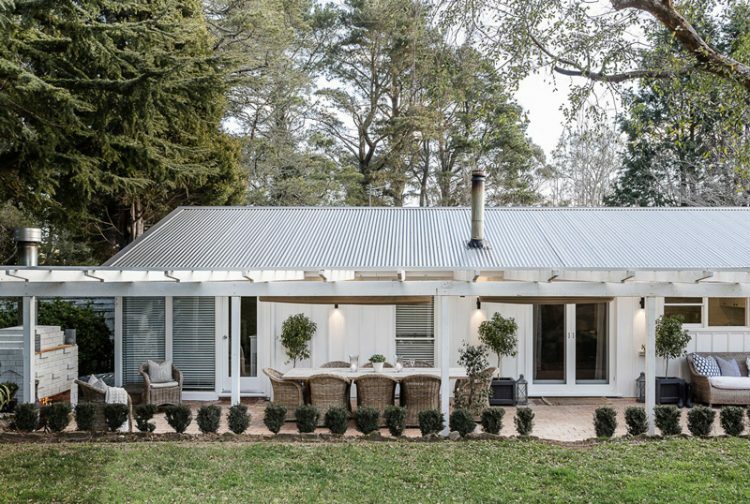 The bedroom looks so traditionally American but in Scandinavian colors that I would never believe that this home is in Australia. 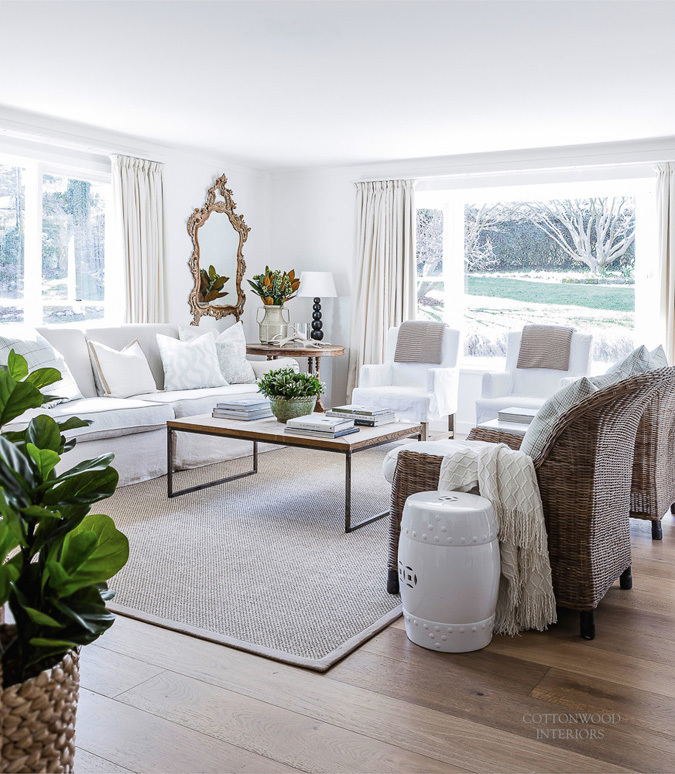 Again, neutrals mixed with white make the room serene and airy. 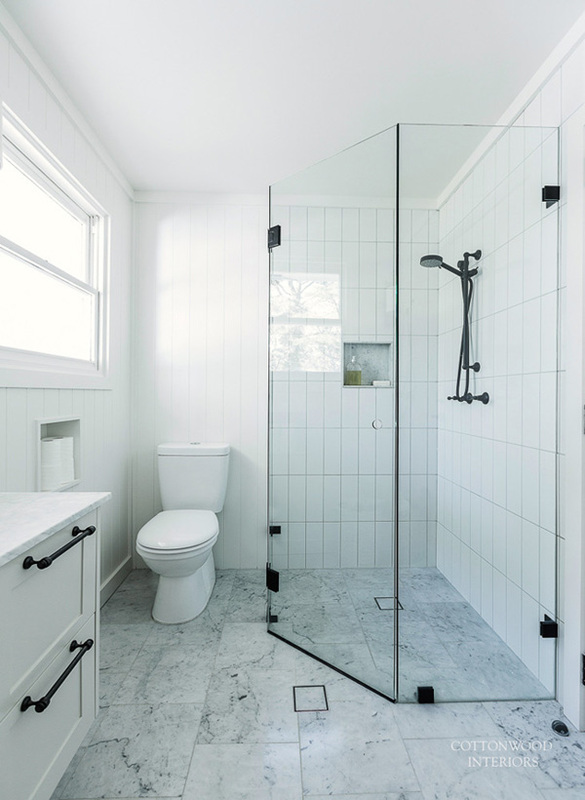 The bathroom can boast of white cabinetry and marble floors and tops just like in the kitchen, even the shade is the same. Black handles and frames make an accent here. 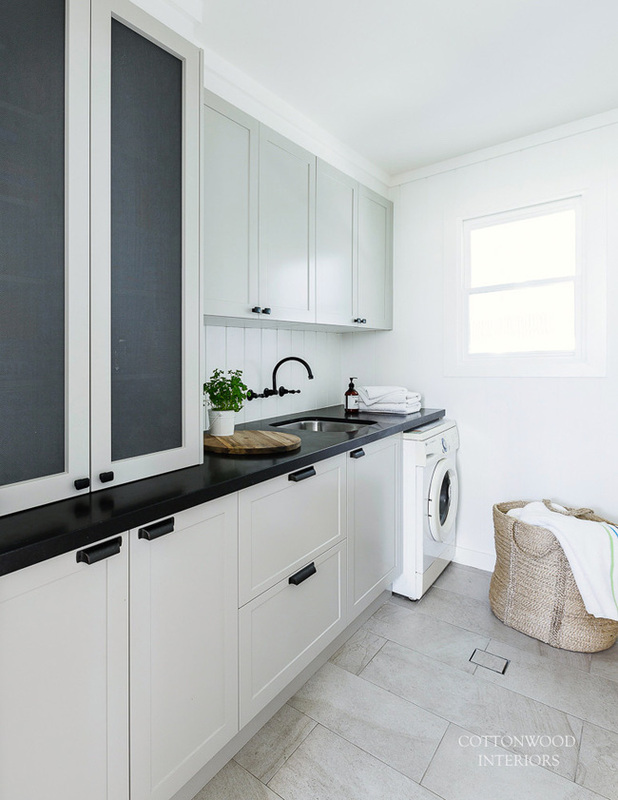 There’s a laundry room that accommodates the same white cabinets like in the bathroom and all the necessary equipment. 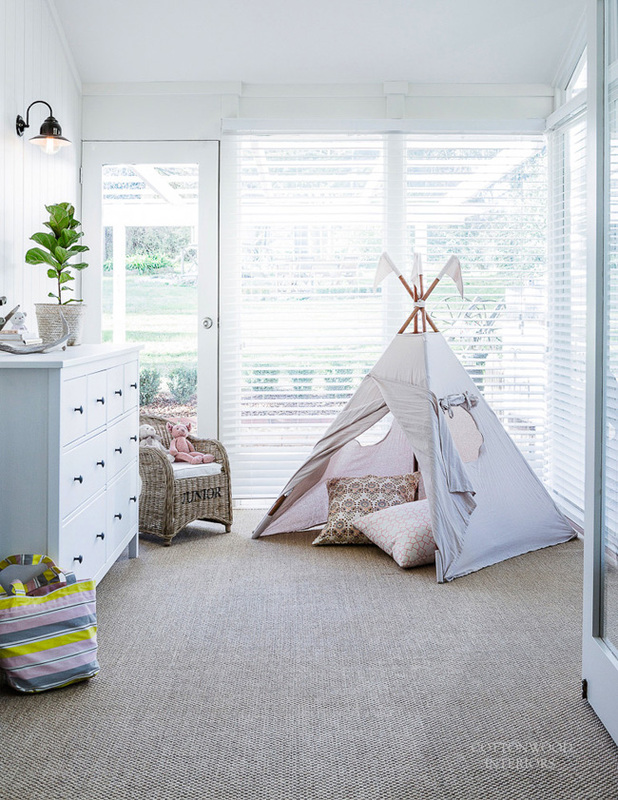 The kids’ playroom is decorated in the same serene colors but there are some pastels added: blush, grey and beige as it’s a girl’s space. 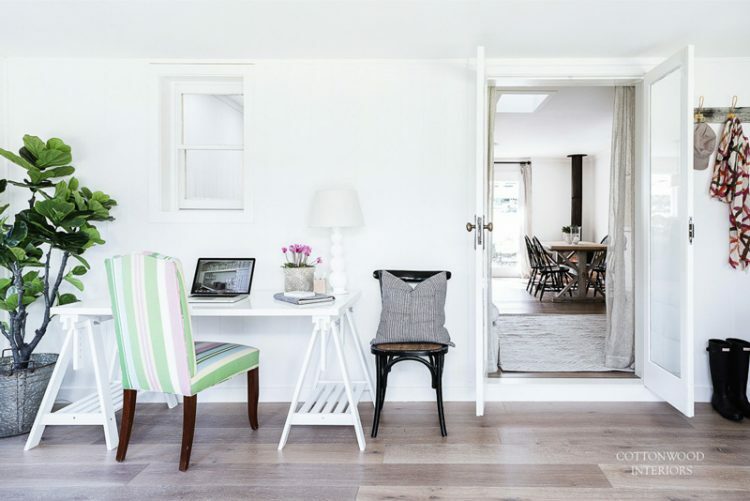 The home office corner is very lightweight-looking, there’s a sawhorse desk that hints on the farmhouse style but it’s whitewashed as it’s a Scandinavian interior. Outside you’ll find a terrace with woven furniture and also decorated in white. Lots of big windows connect the outdoors and indoors. The designers achieved a feeling of uniting of every space in this home due to the colors, style and materials used, and this is a real song of style!